Just like for any other content, the delivery and consumption of sports is changing. And just like for any other content, people are increasingly watching sports through connected devices and platforms. 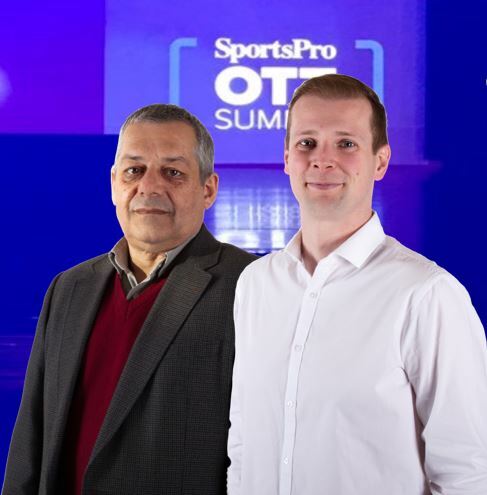 To quote the organisers of the SportsPro OTT Summit in Madrid: the future of sport is live, direct and digital. Here are the basics. What is understood by OTT (Over The Top) nowadays ? OTT refers to the delivery method of content to the viewers. Content is consumed via website or app and does not require a set-top box. Content can be consumed anywhere, on any device and at any time. All you need is to be connected to wifi or mobile data. What is the importance of OTT for broadcasters? For some broadcasters it is the only delivery method of their content to the viewers. MEDIAGENIX customer DAZN (Perform), for instance, is only available on website and app. You do not need to subscribe to pay TV and pay a premium to consume sports content. DAZN is considered the Netflix of sports in the sense that it has disrupted the traditional method of delivering sports content to the viewer. Some broadcasters stream their linear channels as an additional service so their viewers can watch even if they are not at home in front of their TV (e.g. Stievie for the Medialaan channels). Pay TV services are creating OTT services so they do not lose subscribers. Other broadcasters do not put their premium content on an app or website but use OTT to create awareness for their main content on the website or app, and grow their customer base. With short clips and extra content they try to get people to watch the main content via the regular delivery methods. What are the trends and advantages of offering sport content to viewers via OTT? • Personalised content: Pushing relevant content to the viewer according to personal preferences that can be refined the more the viewer uses a service. This is done via recommendation engines. By personalising content a service ideally will reduce churn. A typical example is how YouTube hooks younger viewers. • Personalised viewing: Even more ambitious is the ability to view content according to personal preferences. On the F1 (formula 1) website, for instance, the viewer can choose from a long list of feeds of the live race. In addition to the standard live feed, and the feed chosen by a director, you can also choose images from the helmet of each driver, images from each team’s paddock, images from different camera angles etc. The idea is that every viewer can make their own mix together with the data that is relevant to them (performance statistics). Eleven Sports also launched an app where friends watching the same live event can connect through their devices and chat while watching. • Personalised advertising: OTT enables service providers to analyse the viewing patterns of their users and their demographic (up to a point) and serve up specific ads according to their profile (age, gender, personal interests). A classic example is dynamic ad insertion where personalised commercials are pushed to the viewer. This is obviously challenging as you are not sure who exactly is watching the content. The whole family can be sitting in front of the TV, which makes it impossible to personalise for each family member. Watching on an app or website is typically a more personal and individual activity. But if people share their accounts, you are still not sure who is watching. The trend is more to offer the viewer building blocks for personalisation so they can pick and choose according to their own preferences. Typically the capability of apps and websites are better suited for this than TVs. • Localisation (language / cultural). Localisation is not just about offering content in different languages. It also refers to cultural nuance. Ex 1. Borussia Dortmund fans have a specific lingo so when they replaced the sports commentator with a stadium speaker to provide commentary to the live games the popularity of the service skyrocketed. Broadcast Management System WHATS’ON by MEDIAGENIX has the functionality to request the right resources (commentator, audio booth, studio …), and ensure, for instance, that the right commentary is on the right output channels. Ex 2. Japanese viewers prefer text-heavy user interfaces with a lot of detail, unlike Western viewers who prefer information that is straight to the point. How do broadcasters monetise OTT? • Advertising: broadcasters provide the content for free to viewers but the latter have to watch commercials (E.g. Stievie of Medialaan). • Subscription: viewers pay a subscription fee to watch the content (DAZN). • Transactional (pay-per-view): viewers can pay to watch one particular event (e.g. an NBA basketball game). There is a trend towards micropayments. It costs 8 euros to watch the whole match, for instance. But if you come home late you could for instance pay 2 euros to watch the last quarter. • Hybrid: a subset of content is free via the ad-based model, whereas you need a subscription for a deep dive into the content. • For some broadcasters OTT is not about earning money. They provide everything for free and without ads. Their idea is to attract viewers to their paid services. E.g. BT Sport broadcasts the Champions League final on YouTube because they hope people will buy their linear TV set-top box to watch next year’s Champions League on their TV. What are the major threats to OTT? • Piracy: On the internet a lot of content can be watched on illegal websites. This is dramatic for broadcasters. Broadcasters pay for the rights to broadcast the content, and piracy robs them of the revenues. • Latency: Even with satellite broadcasts there is a delay between the live action and the moment it appears on your TV screen, but this is minuscule. For OTT, latency is defined by the delay between the moment the images appear on your TV set and the moment the images appear on the website or app. The gap can be substantial. E.g. during the World Cup finals Nacer Chadli scored a goal for Belgium against Japan, brilliantly finishing off a 7-second counter attack launched by Belgium’s goalkeeper Thibaut Courtois. Now, if you hear your neighbour scream “goal!”, while on your app the ball is still in the hands of Thibaut Courtois, you feel a bit cheated. eSports – the new frontier. Threat or opportunity for traditional sports? eSports is one of the fastest-growing spectator sports in the world. Across online and TV, more than 500 million people around the world are watching other people play video games. Primarily watched online, eSports games have mainly been accessed via YouTube and streaming platforms like Twitch and MLG.tv, but also Ginx TV which is a 24-hour linear channel dedicated to eSports. Twitch attracts around 100 million unique users every month. Between them they devour 20 billion minutes of gaming content. eSports is very much a product of today’s online sharing culture. But broadcasters are taking notice and are chasing the fan base. E.g. BBC3 and BT Sport have signed up to broadcast coverage of the Gfinity Elite Series eSports tournament and RTBF has created a specific eSports service which is mainly online but also broadcasts certain events on linear TV. Mireille Coudron in HR Square: "We question ourselves from Sociocracy principles"